The Law Offices of Stewart C. Loper, P.A., is an established Minnesota law firm serving business, real estate and estate planning clients in Minneapolis, St. Paul, and the southwest suburbs of Bloomington, Edina, Richfield and Eden Prairie. Stewart Loper has more than 39 years of legal experience, much of it in complex antitrust and class-action litigation. 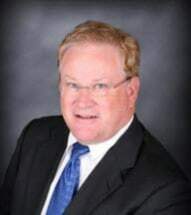 In recent years, he has refocused his practice on business law, commercial transactions, real estate and estate planning, among other practice areas. Attorney Loper has been selected by his peers for inclusion in Martindale-Hubbell's listing of AV Preeminent* lawyers, the highest rating available from the organization. If you retain the Loper law firm, you can expect to receive advice, guidance and representation tailored to your needs, and the needs of your business. The firm offers a free initial consultation to each of its prospective clients. For more information, contact The Law Offices of Stewart C. Loper, P.A., in Bloomington, Minnesota, today.